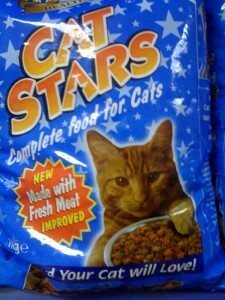 So, we’ve established that cats on the packets of cheap brands of cat food don’t look too happy. But can we prove the correlation by delving deaper into the bowels of cheapness. To that end I took a trip to a store that prides itself on nothing more that its low price — B&M Bargains. 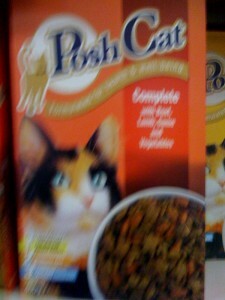 The expresion on this lovely ginger cat seems to say “enough, stop pushing this bowl at me”. 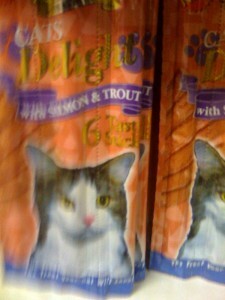 I know this isn’t a great photo, but ‘Delight’ doesn’t seem the gaze this puss has. Posh Cat looks like the food is beneath him. ‘Schmusy’, which must mean something nice in German. 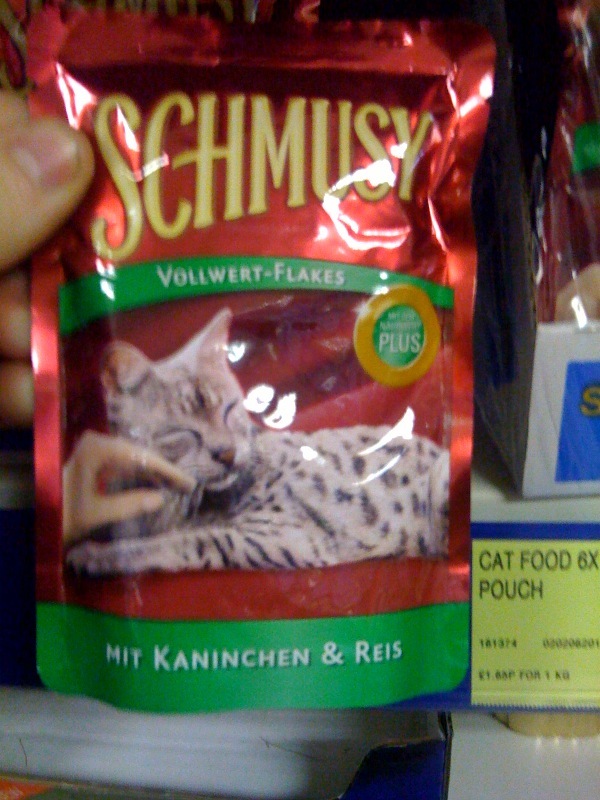 On first glance the cat is having an ‘eyes closed’ moment with an owner’s rub at the side of the face — but I wouldn’t be surprised if he was long dead and the taxidermist isn’t holding his head in place ready for the glue. 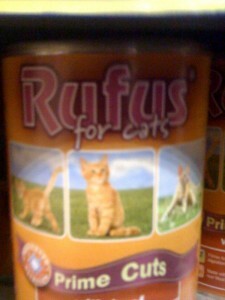 It’s quite hard to see if the ‘Rufus’ cat is happy or not, these being the smallest photos of a cat I’ve seen. They’re also heavily photoshopped, but the designer still decided to use the shot of him about to spray his ‘scent’ (for which read piss) all over you. 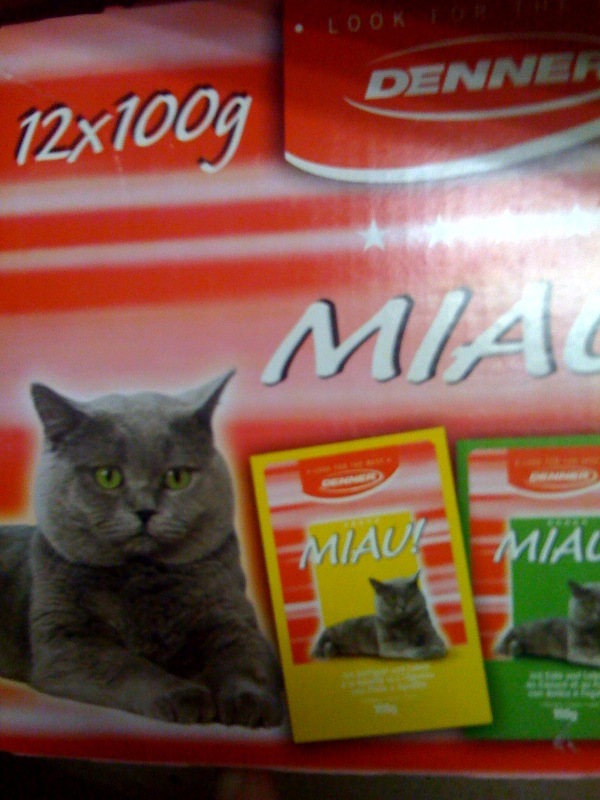 ‘Miau!’ might be a freindly noise in some foreign language version of animal phonetic spellings, but hin English it seems like a cry of terror or pain. 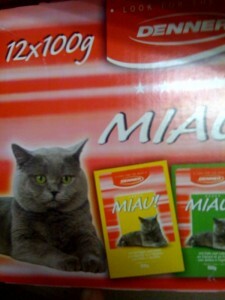 The cat’s stare is fixed as he backs away from the packets bearing his picture. 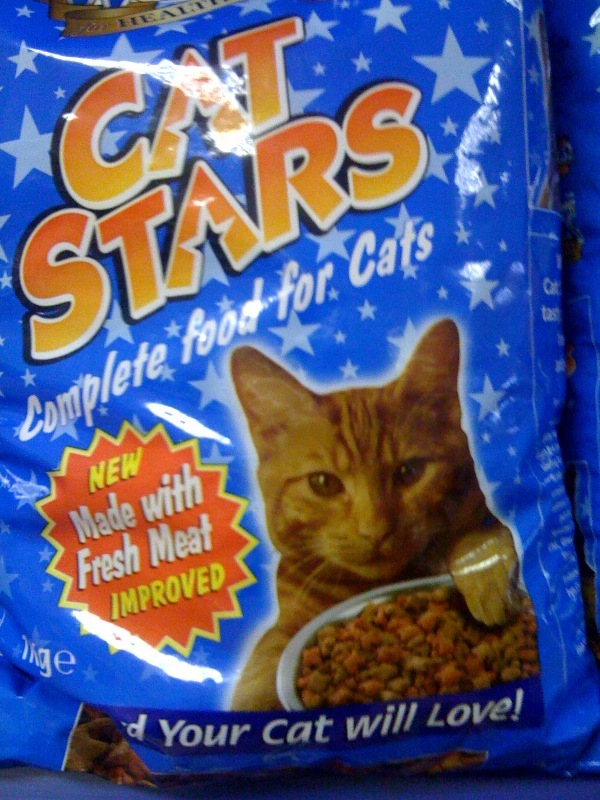 Would you fancy eating it? This entry was written by Jon Bounds, posted on 9 March 2009 at 11:19 am, filed under cute, design, found stuff and tagged cat, catfood packaging, cats, happiness. Bookmark the permalink. Follow any comments here with the RSS feed for this post. Post a comment or leave a trackback: Trackback URL.